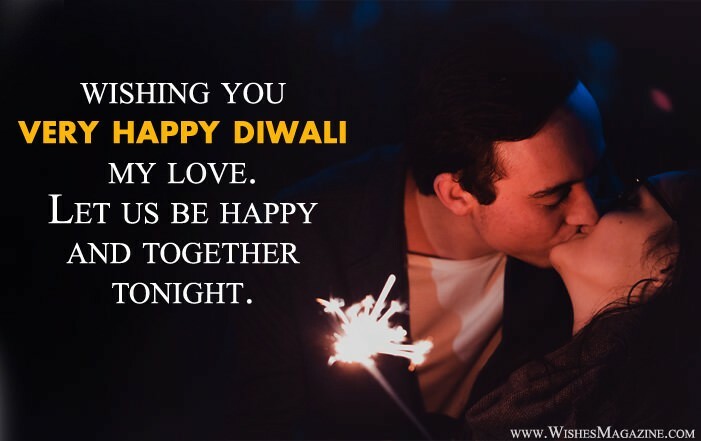 Here in this post we are sharing a collection of romantic Diwali wishes for girlfriend boyfriend, Diwali love messages for couple, diwali sms messages for love, Heart touching deepavali wishes for gf bf. Dear you have given me nothing but love and support and I wish I will be able to give you that, too. You are most valuable person in my life; you are light of my life, Happy diwali dear! Wishing you very happy diwali my love. Let us be happy and together tonight. Happy Diwali My Love,All I want for this diwali is your presence.I don’t need any gift from you. We may not be together this diwali but just remember that in my heart You will always be around together. You have no idea how much l like you,I wish you were able to brighten My festivities on this festival of lights! This Diwali,I Want to say thank you for standing up for me and supporting me. Your gorgeous eyes, beautiful smile, sweet lips, and your entire being just important for me to celebrate diwali. This is our first diwali together and I Want to say thank you for all the wonderful ways you make me happy. I wish my cute girlfriend a happy Diwali.You light up my life,and I’m thankful that you are a part of my life. Dear Love,Wishing you a happy and prosperous Diwali.Let this Diwali be a bright one for you with love and prosperity in your live always. Everyday with you is like Diwali,I wish we are always together and always blessed lovely wishes to my sweetheart on the occasion of Diwali. I wish that the festival of lights bring in your life every joy and prosperity.